A few days ago I visited Maclay Gardens State Park for about the millionth time in my life, and once again I was utterly amazed by its beauty. It didn’t matter that I’d been there before. I walked the old familiar paths and felt just as enchanted as I did when I was young and everything was new. Maclay Gardens has the lushest Spanish moss. 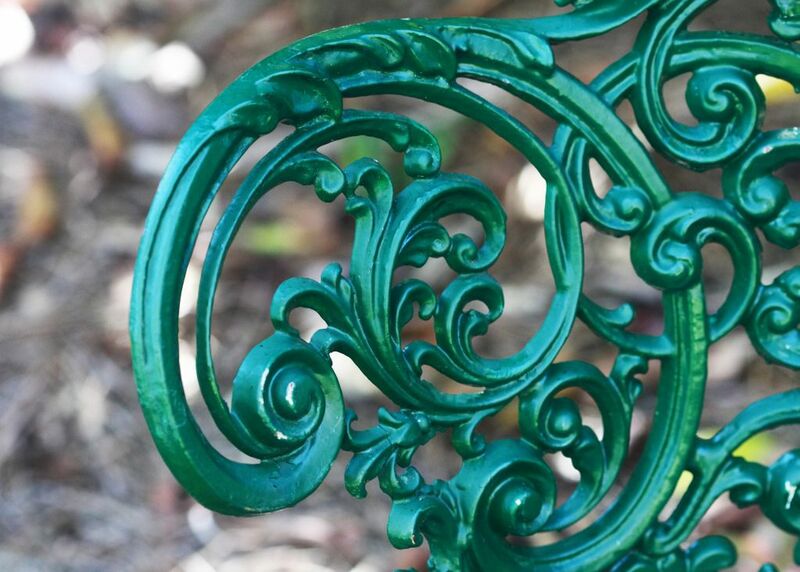 The gardens were started in 1923 by Alfred B. Maclay, a prominent New York banker, and his wife, Louise, after they bought an old hunting plantation on the north side of Tallahassee to serve as their winter home. The Maclays worked on the gardens for 20 years, gradually expanding them until they covered 23 acres. It was a labor of love. Alfred approached landscape design the way a painter approaches painting. He “painted” with plants. He was always thinking about color, shape, texture, balance, and unity. The gardens are built along the west side of Lake Hall, under soaring pines and grand, spreading live oaks. 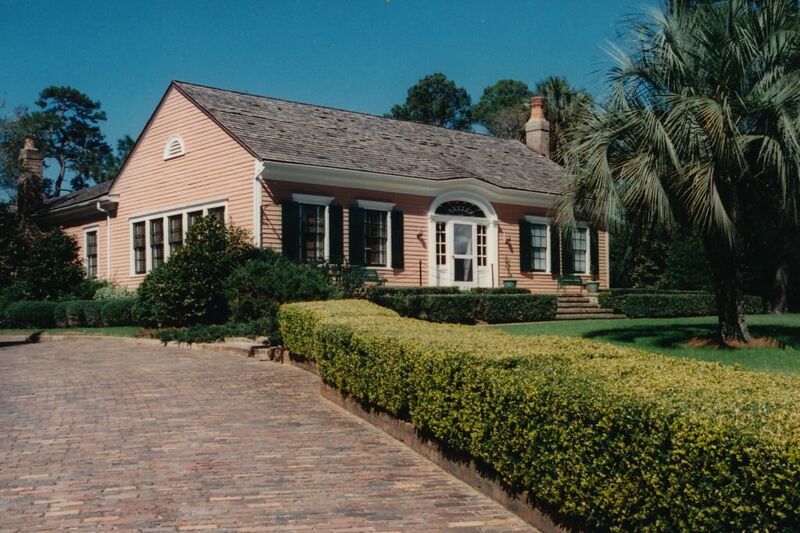 A wide, curving brick walk leads from the garden entrance past a woodland area and a lakeside pavilion to the Maclay House, an elegant little cottage painted bright salmon pink. (Apparently Louise chose the color as a sort of tribute to the area's red-clay soil.) To the west of the walk, there’s a walled garden, a secret garden, a pond, a reflecting pool, and lavish plantings of azaleas, camellias, and Japanese maples and magnolias. I recently read an interesting article in an old issue of the American Camellia Yearbook about the creation of the gardens, which the Maclays called “Killearn Gardens” after Alfred’s ancestral village in Scotland. There was a long description of how Alfred went about collecting his plants. 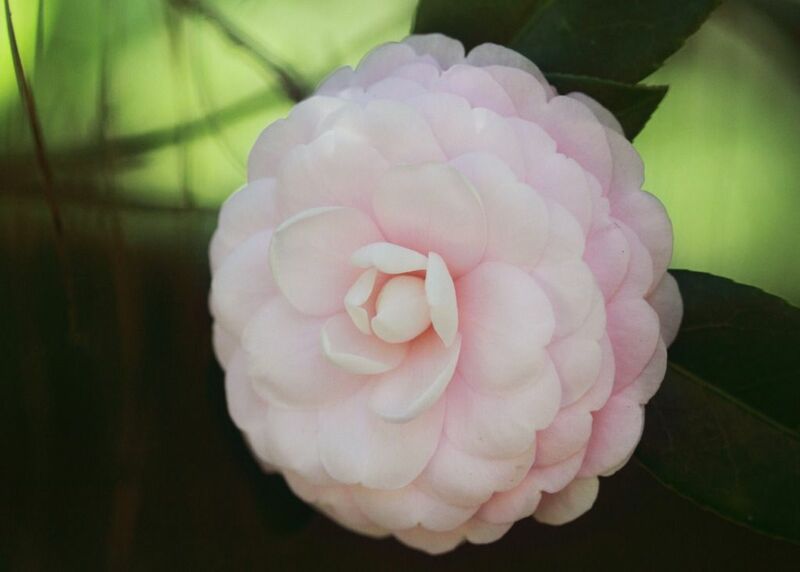 He was an avid lover of camellias and dug hundreds of mature specimens from old gardens in and around Tallahassee. He got camellias from rich friends who lived on nearby plantations, but he also bought them from ordinary country people--flower enthusiasts who gardened for love and grew their camellias, painstakingly, from cuttings. 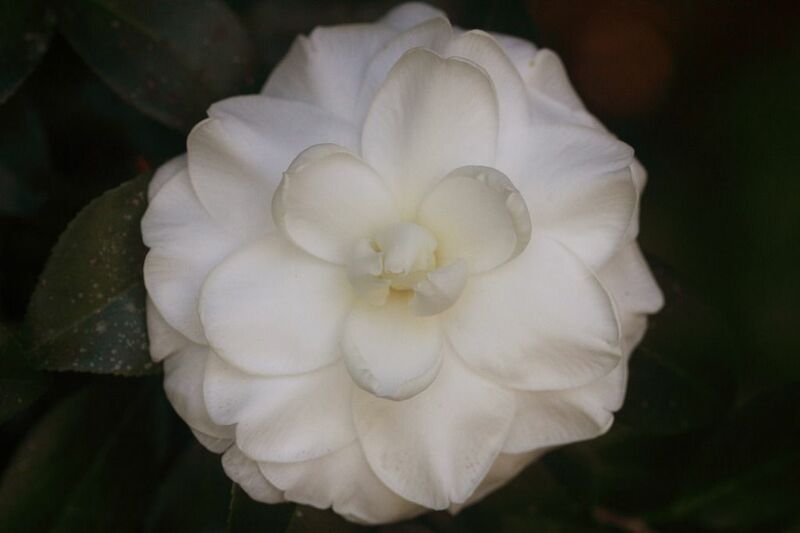 Alfred drove all over Leon, Wakulla, and Jefferson counties, hunting camellias. He even ventured up into Georgia and Alabama and over into Louisiana. 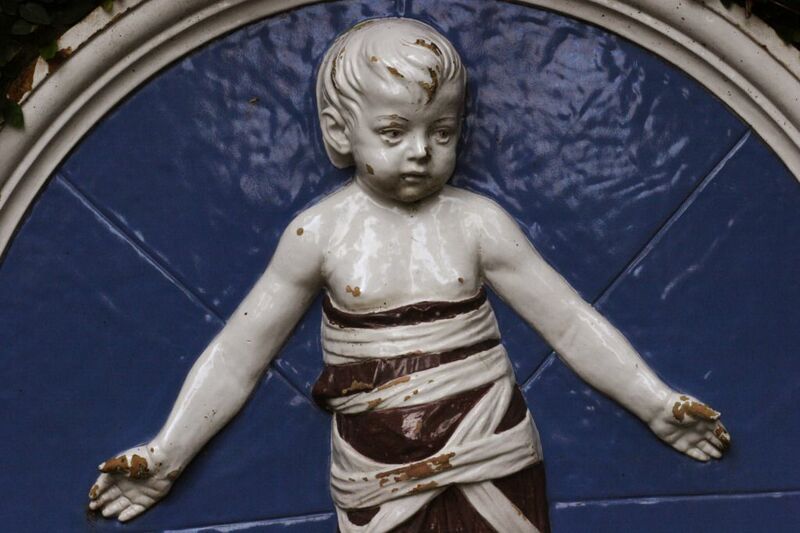 He visited nurseries far and wide, sometimes buying out a business’s entire stock in just a few minutes. Alfred died in 1944. 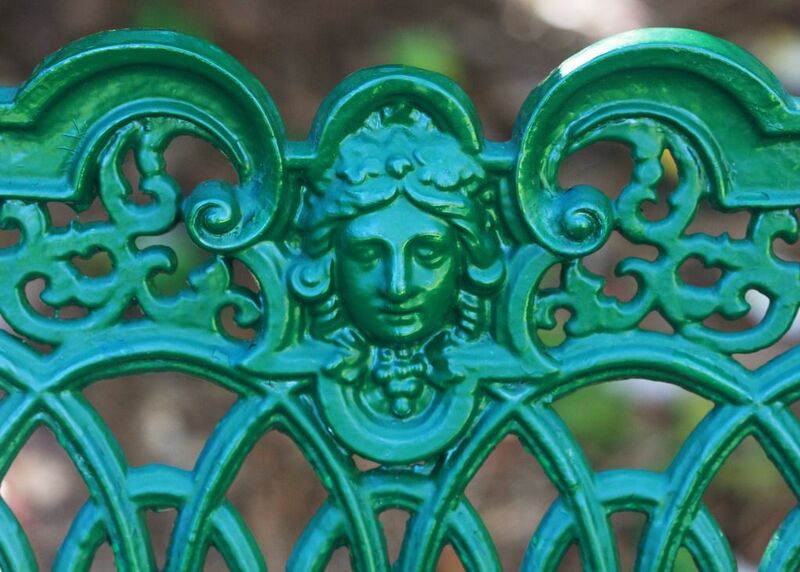 Louise opened the gardens to the public in 1946 and donated them to the state in 1954. I’m sure I wasn’t even a year old the first time I went to Maclay Gardens. My parents collected camellias, so they liked to visit Maclay quite frequently to get ideas for new varieties they might look for at the nurseries. My father liked to go through the gardens very methodically, admiring each camellia individually. He’d read its name and take a picture of its bloom. As a child, I honestly never thought this was boring. I always liked camellias. And plus, there were other things to do in the gardens while my father was busy with his methodical tour. When I was eight or nine, Kris and I would be doing cartwheels on the lawns or hiding in the secret garden or roller skating down the bumpy brick walk. Of course, we were also taking in the scenery, absorbing it, memorizing the views. 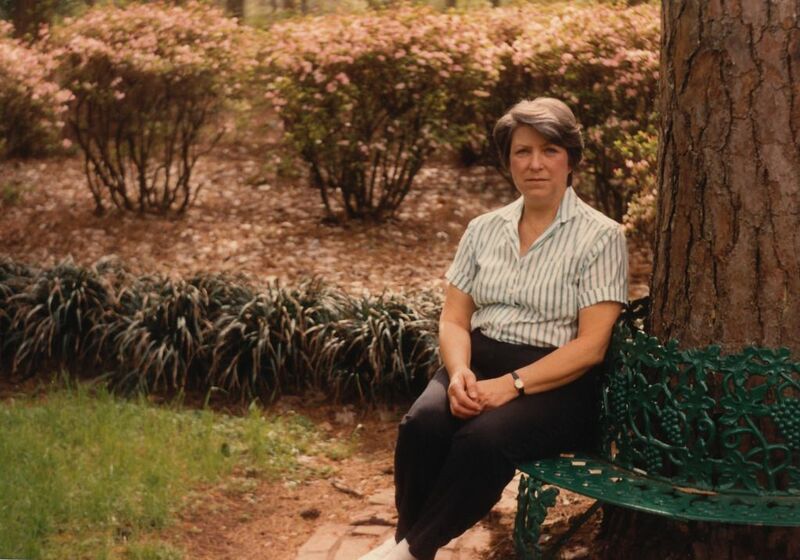 I think I got my first idea of beauty at Maclay Gardens, developed my first theories about it there. I'm so glad that I—an ordinary person—had access to such an extraordinary place. My family could pay a few dollars and pass a whole afternoon strolling the gardens just as if they were our own. It was like spending the day in a world-class museum. Just being in the midst of such beauty and splendor, you felt ennobled, uplifted. 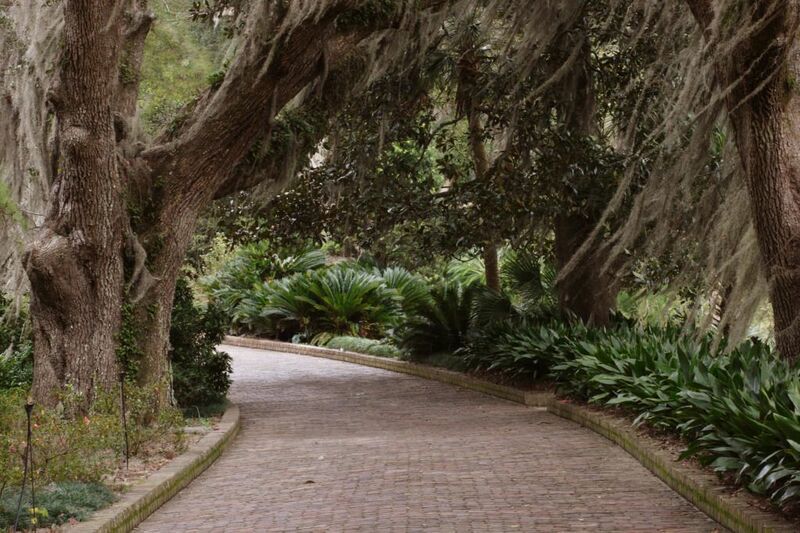 Visiting Maclay Gardens is good for the soul. 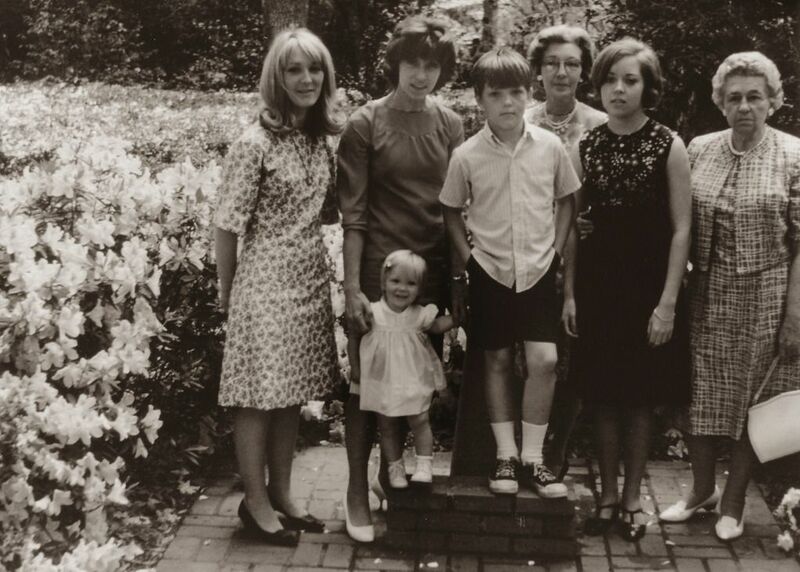 An early trip to Maclay Gardens (I'm the baby); I'm there with Mom and some North Carolina relatives. I love the way you combine a public place with private photos . . . . For me it makes a post that would otherwise feel a little "commercially" come across warm and inviting. Not sure if that makes sense. But there's a quality to your blog that I find unique ~ and I love it! Nothing says 'old Florida' like an old Florida garden...beautiful! 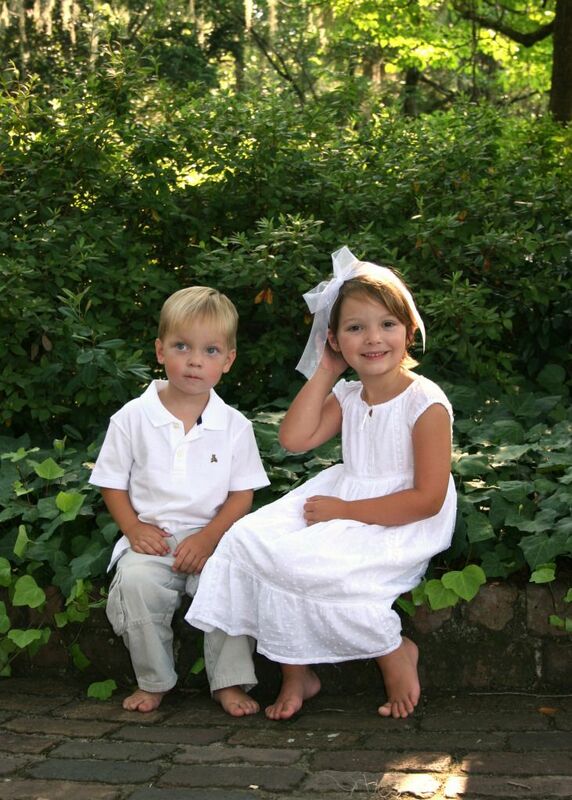 Love that you have family pictures of visits over the years...very special. Thank you, Eli and Susan. You all are such kind and thoughtful readers. I appreciate your comments so much. Sounds like visiting that beautiful place is like going home again. So much history. Thanks, Sweetbay. Yes, Maclay Gardens has always been a part of my life. Even when I lived in Atlanta, I'd always go to the gardens every time I came home to visit. You know, living in Tallahassee for five years now and I've never been to Maclay Gardens! It's neat to see these are your old stamping grounds. You have inspired me to drive up the road and check it out. Oh, good! I think you will love it, Melissa!